Legends of Learning offers two types of science games on its platform, Instructional and Question games. To help teachers better delineate the games from each other, titles have been coded with I and Q , respectively. 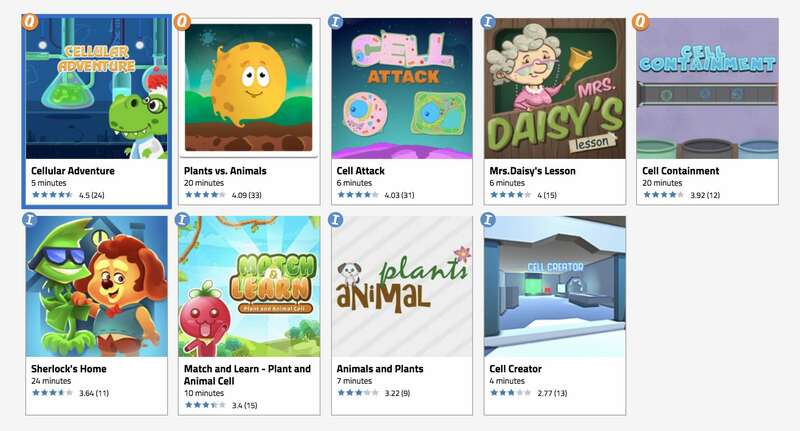 These games help students master the concepts in each of our learning objectives. Game mechanics provide mechanisms for students to contemplate and understand how the scientific principles work within each lesson. Instructional games are good for introducing subjects, for content mastery, and for enrichment. Don’t worry, no matter what lesson, subject or grade you are teaching, all 147 learning objectives have instructional games. These games range in difficulty, but all use questions to review the subject at hand. Question games are ideal to introduce subjects, to review, and more. Some games can be quite engaging, using the questions as challenges for the students to successfully answer in order to continue. Of course, they want to get right through those questions so they can proceed with the game. Other games are less complex and may even be quizzes. Which Games Are Right for Your Class? You may still wonder what makes a good game, I or Q? In addition to type of game, each title has a description that tells you what is covered, difficulty and more. But perhaps even more valuable are the game ratings. Almost every game has been played enough to be rated and reviewed by teachers and students. You will find average ratings for each group. Usually teacher reviews are a good measure of educational quality, while student reviews tell you how engaging the game is. Don’t forget to read the teacher reviews to see what your peers had to say!